During this three-week course, middle and high school students are taught multi-sensory strategies for developing independent study and executive functioning skills, including techniques for note taking, test taking, time management, organization, focusing, writing, and reading comprehension. By the end of this program, students fee prepared and armed with the tools they need for academic success. In small group settings, students receive individualized instructional sessions to teach them the fundamental skills that are essential for academic success. Prior to the start of the session, students are assessed by Dr. Levy to determine their strengths and weaknesses, grade levels, and specific goals. For the summer sessions, we match them with other students who fit a similar profile in order to individualize the program and maximize each students’s summer instruction. Students enjoy the concrete strategies and feel empowered and motivated to succeed in school by noting their improvement with these research-based techniques. This program serves as a great way to jump-start the new school year. 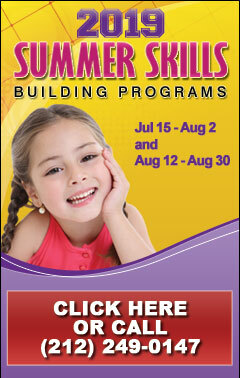 At the beginning and conclusion of all summer courses, families will receive individualized goals and progress reports. At the conclusion of the summer sessions, contacts and recommendations can be made with each student’s home school.